…has been repeated by Guatemala City locals, celebrities, politicians and athletes since 1942. 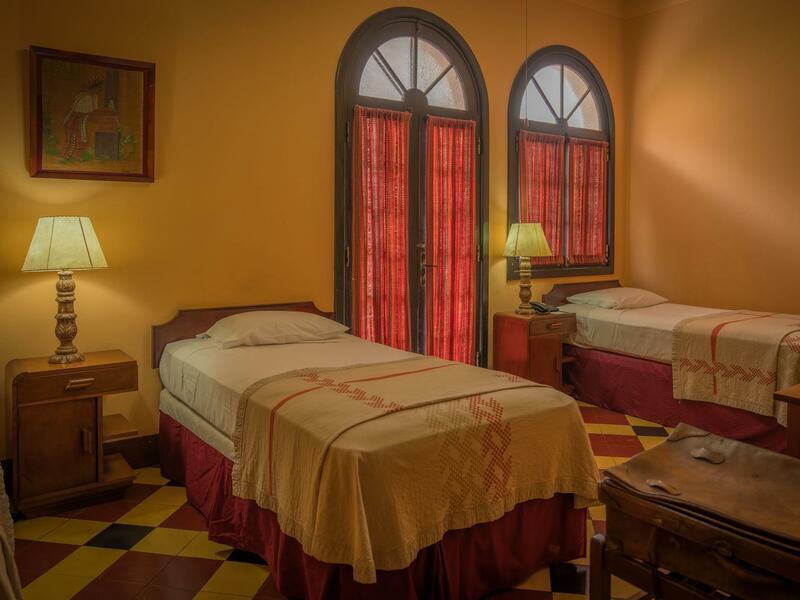 With a distinctive character steeped in vintage charm, tradition and Art Deco style, one of Guatemala City’s most cherished boutique hotels offers a splendid bridge between the city’s rich, colorful past and cosmopolitan present. Visit the Hotel Pan American and discover the warmth and hospitality that have kept generations of guests returning to this timeless destination again and again. 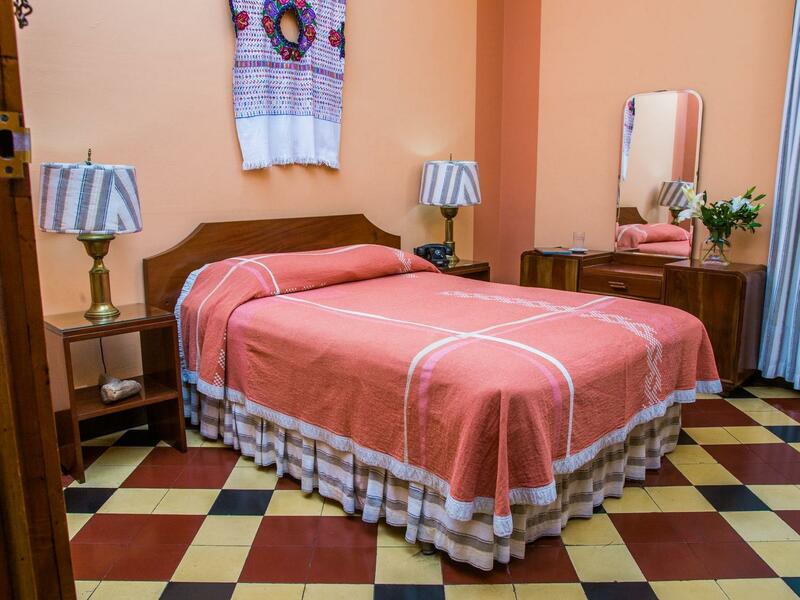 Located on the third floor, our Standard 2 Twin rooms offer 222 square feet of living space and charming Guatemalan décor and furnishings. Comforts include two twin beds, a writing desk, a television and a private bathroom with a shower, a tub, antique fixtures and exclusive bath amenities. 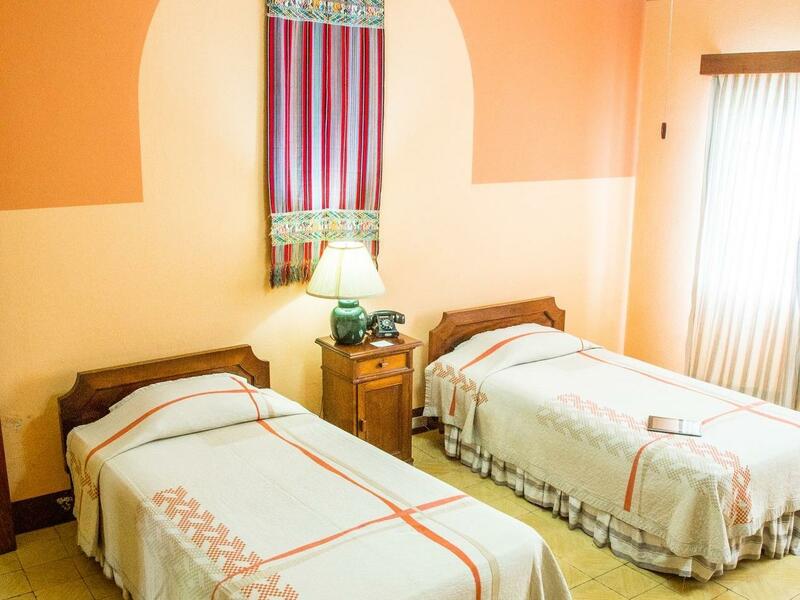 These warm and cozy rooms with one double bed feature 208 square feet of space that are perfect for relaxing after a day of travel, meetings or exploring Guatemala City. In-room perks include cotton sheets and handmade quilts, a ceiling fan and cable TV. The private bathroom is appointed with a finely carved mahogany door and exclusive bath amenities. These rooms are located on the second floor and some rooms have a balcony overlooking 9th Street (balcony rooms are subject to availability). These spacious 244-square-foot rooms feature three single beds and are located on the second floor. Select rooms have a balcony and a beautiful view of 6th Avenue or 9th Street (balcony rooms are subject to availability). 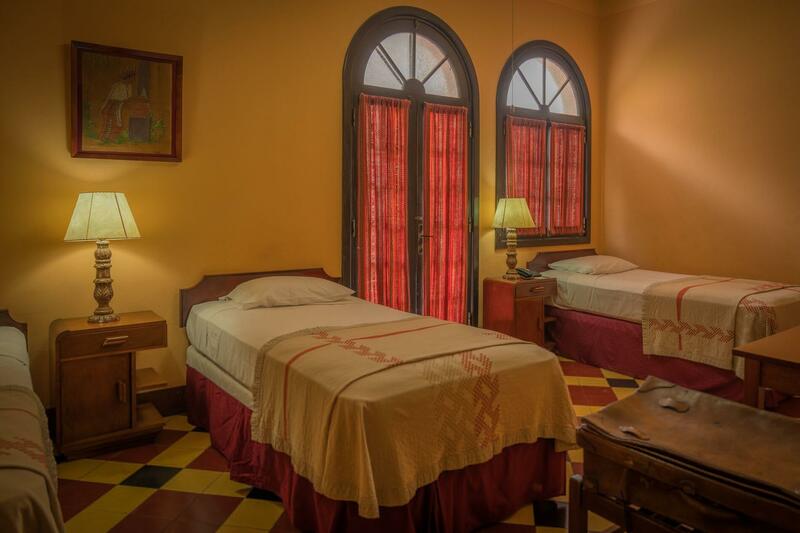 All rooms feature a bathroom with a shower and a tub, a 20-inch TV with international channels, a ceiling fan, a mahogany desk, curtains with typical designs, handicraft decorations on the walls, cotton sheets and original handmade quilts from the Guatemalan highlands. 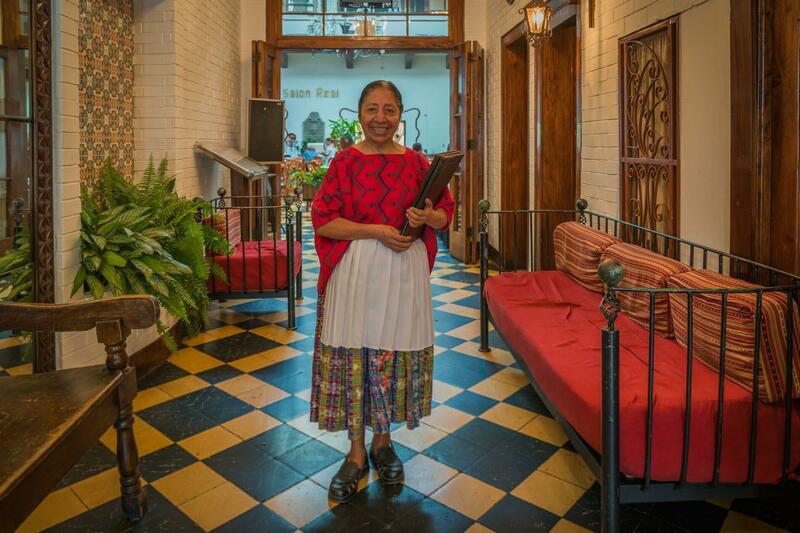 Our award-winning Salón Real is one of the top restaurants in Guatemala City. The vintage warmth of Bar El Barcito also offers an inviting spot for cocktails and light fare after a day of work or play. Experience more of our classic Guatemala City hotel for less by selecting from our exclusive collection of hotel packages and vacation deals. With the assistance of our world-class event planning and catering teams, you and your guests receive personalized service and support to ensure a memorable and relaxing occasion. From sales meetings and training seminars to business breakfasts, luncheons cocktail parties and banquets, your occasion will be planned and executed with great care by our professional staff.